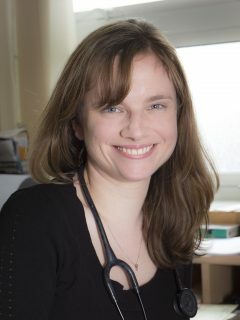 Dr Felicity Guest, who was born and brought up on the Fylde coast, qualified as a doctor from the University of Oxford in 2006. She then took the decision to move back up north to be closer to home and went on to complete her GP training in 2011 in Manchester. Dr Guest has been a GP at The Thornton Practice, situated within the village of Thornton-Cleveleys, since 2011 and has been a member of the local medical committee since June 2013. Her clinical interests include palliative care, cancer, ear, nose and throat care, as well as medicines management.